Dj, ekoizle eta musikari italiarra da Farrapo. Ospea dj bezala egin duen ibilbide sendoak ekarri dio, Brasil eta Europako areto eta jaialdi ezagunetan emanaldiak eskaini dituelarik. Rainer Truby (Alemania), Paul Murphy (Erresuma Batua), Buscemi (Belgika), Flow Dynamics (Australia), Drumagick (Brasil), Zero DB eta beste hainbat dj-en alboan taularatu da. Mundu osoko doinu tradizionalen eragina erakusten duen soinua erakusten dute bere ekoizpenek. Maisuki nahasten ditu Balkanetako, Brasileko eta Afro soinuak gaur egungo drum´n´ bass, broken beat eta break beat bezalako estiloekin. 4 single argitaratu ditu: Baiano Vem Baiano Vai, 2006; Afro Art rec – Spaghetti Samba; 2007; Record Kicks – Frango Assado, 2008 eta Tam Tam studio – Swingy Mama, Resense. 2010 . Gainera, ‘Hotel Costes 11’, ‘Brazilectro 10’ eta ‘Sambass’ bilduma ezagunetan parte hartu du. Alemaniako Agogo rec diskoetxeak bere disko berria argitaratuko du 2011ko udaberrian. Italian dj, musician and producer. His solid reputation as a dj has seen him perform in clubs and on famous European and Brazilian festival stages sharing the console with many top dj’s like Rainer Truby (Germany), Paul Murphy (UK), Buscemi (Belgium), Flow Dynamics (Australia), Drumagick (Brasil), Zero DB, and many others. 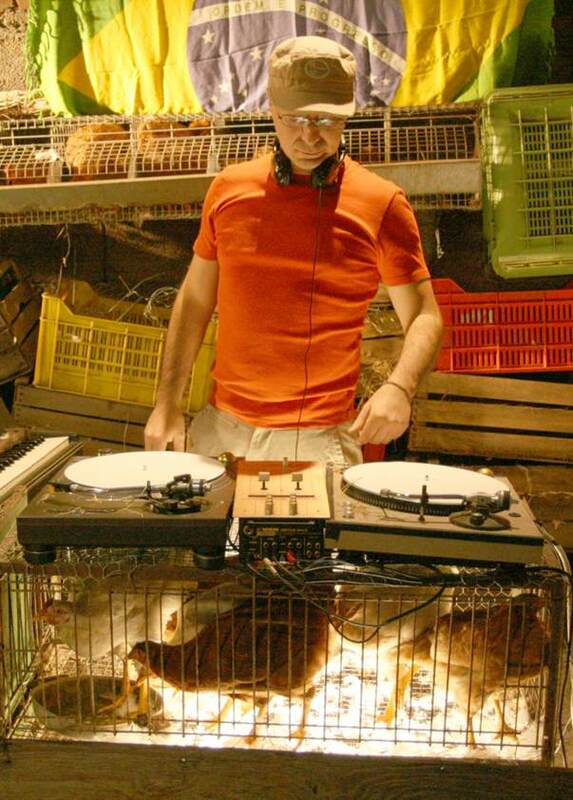 His research and production style is influenced by his love of traditional music from all over the world and he has perfected a unique blend of Balkan, Brazilian and Afro sounds mixed up with contemporary dancefloor rhythms such as drum’n’bass, broken beat & break beat. He release 4 single (Baiano Vem Baiano Vai, 2006 Afro Art rec – Spaghetti Samba, 2007 Record Kicks – Frango Assado, 2008 Tam Tam studio – Swingy Mama, 2010 Resense) and his tracks was also included in very well know compilations like “Hotel Costes 11”, “Brazilectro 10”, “Sambass”. He have an upcoming album that will be released by the german label Agogo rec.